Theirs - Katie & Paul's Big Day! 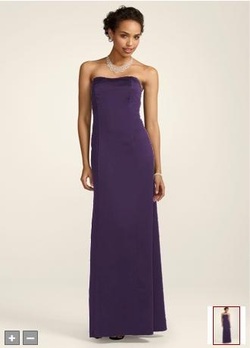 Bridemaid dresses are from David's Bridal and are in the color "lapis". I didn't think it would be easy for all 4 of the adult BMs to decide on one dress since they all have different body types. I have grown to love the look of different BM dresses instead of all BMs wearing the same style, so I asked my BMs to pick their own style as long as it was long and lapis. I think their choices are fabulous!